Obviously with Dana at MSU, I am hoping Dan can out recruit him. I have heard a couple reports that Dana is going to have a great haul on recruits. Dan will be looking up at Dana in the standings until Dana decides to move on from MSU. The fact Dana already beat Dan in the standings in 2018-2019, when ISU returned everyone and Dana took over a mess....hard to believe. I would compare Dana's recruiting class to ours, except we appear to not be signing anyone (I would suspect we get Derrick Cook). The only good thing is Dana will be out of the MVC before Dan's contract ends so there is always hope. And bookmarked all these hot takes. Once Dana gets his overall coaching record above .500, I don't think the wing currently being built for him in the college basketball HOF will be big enough. I agree. Let's wait until he wins something before we crown him. On paper though I like what he is going. Whether he is the second coming of Coach K is yet to be decided but you have to like the fact that they are trying to improve at MSU. On the other hand, we see nothing wrong with our situation and plow ahead into year 8 with a program heading in the wrong direction being passed by MSU, Drake, Loyola, and dare I say it...bu. I want to see actual results from Dana. Yes it looks like he is getting good players but let's not forget he has won nothing yet. Don’t know about the future, but as for this year the only reason Dana finished above Dan was due to two miracle half court shots. One of them by Dana’s team (actually traveled before the shot). Without that shot Birds would have been seeded higher than Bears in Tournament due to Birds sweeping Bears. What is Dana doing wasting away in college basketball. Shouldn’t be be coaching in the NBA by now? Not to mention he played a horrible style of basketball, holding he ball for 25 + seconds of the shot clock bc his team couldn’t compete without a low scoring, defensive game..
Dan’s coaching down the stretch of those games had a great deal to do with our opponents being in a position to lose the game on the half court shots. As much as I would like to agree, this was on the stupid play of the players, not the coaching. Not sure if I agree it was all on the players but if so, who is charge of the roster construction? So you're suggesting every turnover, missed shot, foul, etc. is the coach's fault for not being a perfect recruiter. No. If you read my post correctly I said it wasn’t all on the players. I just pointed out that if it was all on the players and they just made stupid decisions, where is the accountability of the coaching staff too? If we are just going to blame stupid decisions by the players as reasons isu loses games, then we are not recruiting the right type of players that can close out a game down the stretch. I never said he needed to be a perfect recruiter. And they lost both of those games with leads and lots of breakdowns down the stretch. One team had to capitalize off our breakdowns to steal those games from isu. It wasn’t all on the 19-23 year old men out there and the coach and staff stakes by with the “well our players just make stupid decisions” excuse that us supposed Muller haters bring up. Why does it have to be a “if you aren’t completely sold on Muller you are against him”? With as much stupid negative crap that is thrown Muller’s way, you are going to try to call me out with my post holding him just as accountable as the players for those two loses? 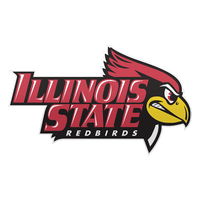 In the Missouri State game (I think about 1:40 left in the game) Senior Keyshawn Evans commits a stupid reach-in foul in the backcourt with the Birds up 6 (Dixon makes both free throws). With about 7 seconds left in the game, and Birds up 5, Senior (and 1st team All MVC) Phil Fayne fouls Webster going in for a layup (Webster makes both free throws). Now Birds only up 2 instead of 3. Two stupid fouls committed by two Seniors which allowed the last second half court shot to lose game for the Birds.